I gave my oldest daughter my grandmother's name, but it's the baby who has her eyes when she laughs. I love finding ghosts in flowers, in birds, in the shape of an eye. Those who love us never leave us. That was really nice. I admit I was expecting a punchline, or a scare, or some trick, and it was nice that there was none. It was just a lovely story, no jokes or snark. Well done. Me like you words big much! Keep with more. Robyn, above, really said it best: "your words will be the tarot cards of your children." You really can paint a picture. Beautiful! My grandmother's been gone over 50 years, but when I look at her ring, which I now wear, she's with me!! You're a sly one, funny girl, disarming us with giggles and then laying on the sensitive humanity. I can't tell you how much I love both this piece and your skill. Gorgeously written. I was there. I can smell the pipe. I totally believe and have had my own experiences in my life that I can say to that something after life does exist. I am not sure to what extent, but do believe. thanks for sharing this. Once, a cardinal that inspected my sister with such care that my mother wept. What a sentence. And there are so many more like it. As Leanne said above - this was gorgeously written. Can I come to your house now and feel them :-) ? This post is gorgeous. Love when you write like this. This took my breath away. Beautiful. I love this. I bought my first house as a single woman just 25 days after my grandfather died. Whenever I was working particularly outside, I always felt like someone was watching me, there was always a little shadow just out of eye sight. Well when I moved in with Jim (my now husband) we were putting the last of my stuff in his garage and I went upstairs to make us food or something and he comes up and says to me "did you have a ghost at your house?" I had never told him the story about my watchful shadow but I know Gramp came along to check things out. <3 Crap! now I have tears in my eyes. Thanks for the remembory. So very beautiful! After my grandfather died, a small brown moth visited us on important occasions. I just know it was him. Love your blog. Nominated you for the Leibster Award! I love this & love a good ghost/spirit visit. Totally believe in the stuff, very well-written! 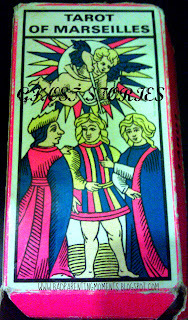 Tarot cards are really very useful to make a decision. They help us in choosing the right path or making the right decision. A great story has also described here. It is so much terrible.